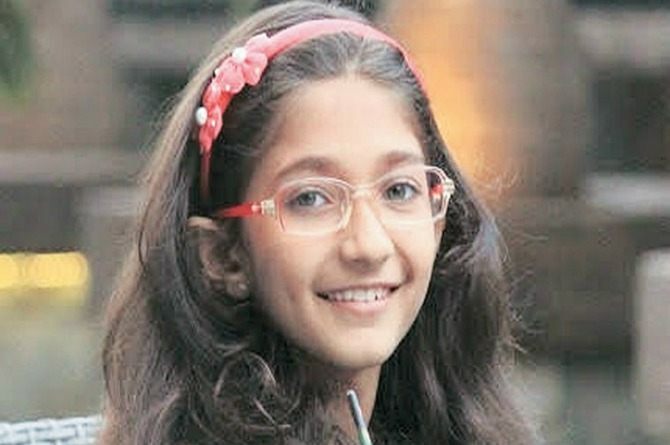 All of 10 years old, Pune’s Ishita Katyal is the youngest Indian to become a TEDx speaker, reports The Indian Express. On Children’s Day this year, this little, bespectacled girl delivered her talk on ‘What do you want to be now’ at the TED Youth Conference in New York. The speech was just four minutes long, but it received huge applause from the crowd. Ishita is a student of Vibyor High and her association with TEDx started early this year after she attended an event organised by TEDx Pune. She expressed her desire to be a part of the organising team. Two rounds of Skype interviews later, she became the youngest organiser of TEDx Youth events in Asia-Pacific region, said her mother Nancy Katyal. Ishika organised the first TEDx event in her school on February 7. Soon came the opportunity to go to New York, and she grabbed it with both hands. By her own admission, Ishita was nervous before her speech, but as soon as she went on stage, everything was okay. Kajol celebrates daughter's 14th birthday with a special message and a surprise gift! Himesh Reshammiya and wife Komal part ways after 22 years of marriage!